Penny started playing at the age of 8 in the 1st Minster Girls Brigade Band on the Isle of Sheppey. She grew up playing in various wind bands and orchestras (holding the position of principal trumpet in both Swale Music Centre Wind band and Swale Swing Band as well as playing trumpet in the Kent Youth Symphonic Band for a time) and wasn’t introduced to Brass Bands until joining GEC Marconi (as it was then) in 1996. She still maintains that she is not a cornet player, more a trumpet or flugel player taking some time out! Penny first joined the band to help out for a contest and then ended up staying until leaving to go to university in Norwich at the University of East Anglia. Penny achieved a BSC Honours in Mathematics and also undertook a PGCE to become a secondary school teacher, during which time she also spent some time co-running the university big band. She stayed in Norfolk for several years, playing with both Cawston Silver Band and Norfolk Wherry Brass where she played both Solo Cornet and Flugel. During this time she also took some time to travel around Australia and New Zealand which she says was as an amazing experience! 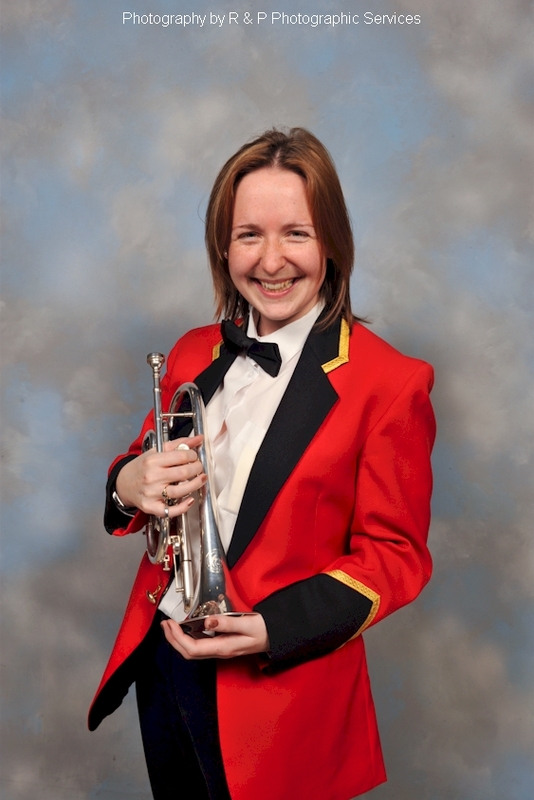 Penny returned to Kent in 2006, rejoining the band as a Solo Cornet player and is currently Head of Mathematics at The Maplesden Noakes School in Maidstone. Her interests outside of work and band include keeping fit and walking up mountains, often as part of training young people to do their Duke of Edinburgh’s award.